Embroidery is one of the oldest ways of embellishing and decorating your clothes known to man – it dates back to 30,000 BC. Archaeologists discovered hand-decorated clothes, boots, and even a hat from these Cro-Magnon days. 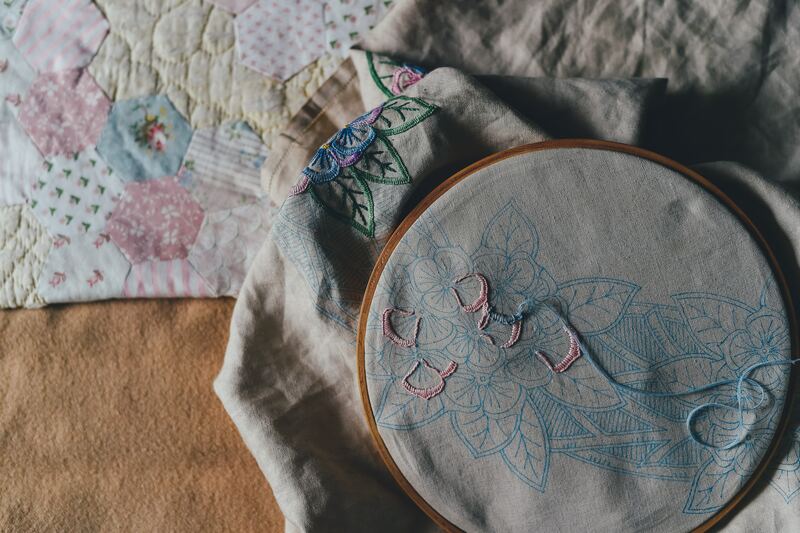 This craft of using thread and other materials to decorate fabric is just as relevant today, as it was back then. It is a great way that we can express our style, and personalise the garments that we wear. Embroidery is very much on trend for 2018, you only have to look at Gucci’s latest offerings to see how versatile this sewing technique is to personalise clothing. It goes hand in hand with the arts and crafts style that is sweeping the catwalks. Working for Gucci, designer Alessandro Michele has been taking inspiration from bygone eras, using embroidery, applique and prints, and using them to create contemporary designs. From beautiful, rich colored bird, to sprawling English roses, the designs are ones that truly stand out. Currently, there is an enormous influence from tattoo styles, particularly American Traditional – think sailors and beautiful, bright flowers. When you are choosing the fabric that you are going to embroider, you need to pick something that isn’t too thin or flimsy, especially if you are planning to add heavier materials to it, such as beads or pearls. Embroidering a tote bag is a great place to start if you are fairly new to sewing. It is a project that should take 3-4 hours. There are many of the Gingercake designs that can also be customised using embroidery. You can also give new life to existing garments that you own, for instance maybe you can’t afford that fabulous new dress, but you can customise your existing clothes, so that they look unique. An embroidery hoop is a must have, as it will pull the material flat, making it easy for you to work with. Place the material within the hoop that you want to embroider, and make sure that it is taut before you tighten the screw. Just like drawing a picture, it is a good idea to begin your embroidery design with the outline. You can use a basic running stitch or back stitch for this. When you are filling out your design, even using a simple cross stitch can give your design some great texture. You don’t have to be an expert in sewing, you just need to have a clear idea of what you are going to sew. All you need now is a little inspiration for your design. You can take this from anywhere. It might be the tapestries from a manor house. It might be your own name, embroidered in glittery thread. Or perhaps you want to recreate one of your children’s animal drawings onto a t-shirt. Embroidery is a great way of customising your clothes, bags and footwear. You can make existing garments look unique and exciting, with simple thread, beads and sequins.